As we enter 2019, it’s a natural time to evaluate current business strategies while looking to the months ahead. 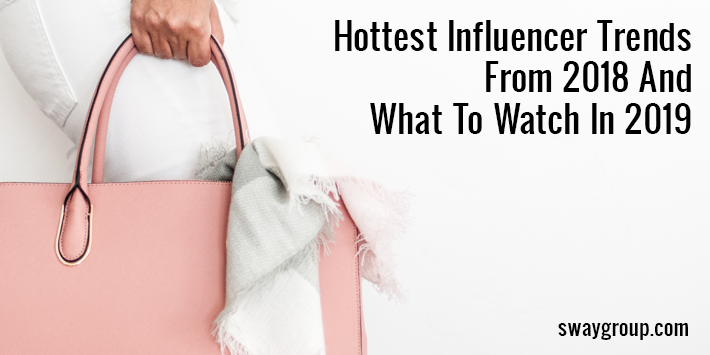 As an influencer and content marketing agency, we’ve observed some shifts in the industry that could affect the way your brand plans its next influencer campaign – and we also have some thoughts about the trends we’ll be seeing in the coming year. Read more on what we have to say about the hottest influencer marketing trends from 2018 and what to watch in 2019 in our CEO’s recent article on Forbes here.